Operating successful managed pubs in today's competitive market place requires a well organised and appropriately resourced team. The Pub People Company has an excellent support infrastructure which will enable you, the pub licensee, to focus on delivering great customer service. Your main contact as a Pub People Licensee is with a dedicated Business Development Manager (BDM). Our BDMs typically look after around 15 pubs each and you should expect a close working relationship. We will expect you and the BDM to formulate a business and marketing plan for your pub which will be regularly reviewed at business meetings. The BDM will have access to numerous internal and external support functions to assist in developing the sales income and profit of your pub. 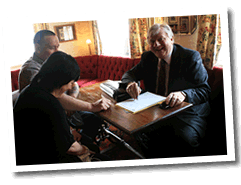 The Pub People Head Office team will help you manage day to day administration. Part of the licensee's role is to complete daily and weekly administration. Our team will assist in ensuring this important information is accurate and timely allowing the whole business to run smoothly. You will have a dedicated Administration Assistant. The Pub People Marketing function is extremely well organised and dedicated to helping our pubs compete with the main high street pub brand names. They will produce calendar promotional activity along with bespoke promotions for your pub. The team is especially strong with digital marketing eg. data base management, Facebook and Twitter. Our supplier marketing support is strong with regular product training and new product launches allowing our pubs to keep drinks offers up to date and attractive for our customers. Cask ale marketing is very important to many of our pubs. We have a Brewer of the Month promotion, utilising Regional and Micro Brewers. 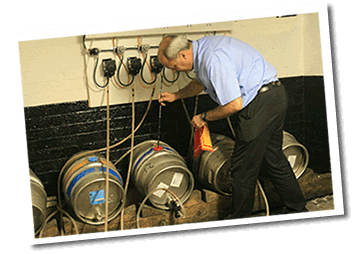 Beer festivals and traditional cider activity are organised at many pubs through out the year........we even have our own beers brewed for us. The food business within Pub People is growing and developing every year. Our dedicated Catering Development Manager will help you grow and manage every aspect of your pub's food business. Our excellent food supplier network will ensure top quality local produce is available for you to use and the CDM is available to guide you through legislation compliance, menu development, equipment issues, margin management and competitor analysis. At head office there is a property help desk, supported by a property manager. The team will deal with day to day reactive repairs either directly or through a local network of sub contractors. We are able to carry out small refurbishments of pubs which happen on a planned basis. The property team also ensure legal compliance is maintained through certification and health and safety compliance.